Filter up to 65 gal. (250L) of clean water anywhere you roam when you load a fresh Grayl Geopress replacement purifier cartridge into your Geopress water purifier. 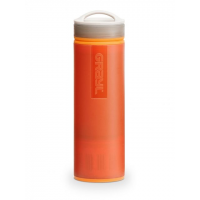 Grayl Geopress Water Purifier Bottle - 24 fl. oz. 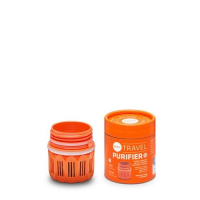 A global traveler's dream with fast and easy performance, the Grayl Geopress water purifier bottle helps protect you from viruses, protozoa, bacteria, particulates, chemicals and heavy metals.